With support from the Canadian Paralympic Committee (CPC) and Special Olympics Canada, the Coaching Association of Canada (CAC) is pleased to launch today the latest in its series of National Coaching Certification Program (NCCP) eLearning modules: Coaching Athletes with a Disability. The Coaching Athletes with a Disability eLearning module provides coaches the knowledge and training to deliver quality, positive sport experiences for athletes with behavioural, intellectual, physical, and sensory disabilities. It is a beneficial resource for coaches who are new to coaching athletes with a disability. However, coaches who are already working with athletes with a disability may also find it useful. Lorraine Lafrenière, Chief Executive Officer of the CAC, was pleased to be on-hand this morning at the International Paralympic Committee’s VISTA 2017 conference in Toronto to make the announcement. A Project Task Team comprised of representatives from various Canadian sport organizations have guided the development of the training module. 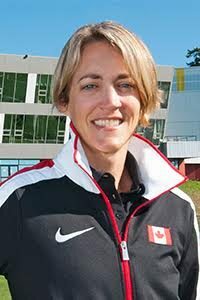 Supporting today’s announcement was Karen O’Neill, CEO of the Canadian Paralympic Committee. For Special Olympics Canada, the Coaching Athletes with a Disability module is a welcome addition to the NCCP. “Special Olympics Canada congratulates the CAC for spearheading this initiative. We were thrilled to be part of this collaboration and believe the Coaching Athletes with a Disability module is an important resource for advancing more inclusive sport in Canada. It is a welcome addition for all coaches and a terrific entry point to SOC’s NCCP workshops for those coaches interested in additional training specific to working with athletes with an intellectual disability,” said Sharon Bollenbach, CEO of Special Olympics Canada. To celebrate Canada’s 150th, Coaching Athletes with a Disability training is available free of charge throughout 2017! To learn more about the benefits of taking the Coaching Athletes with a Disability eLearning module, or to enroll today, CLICK HERE.